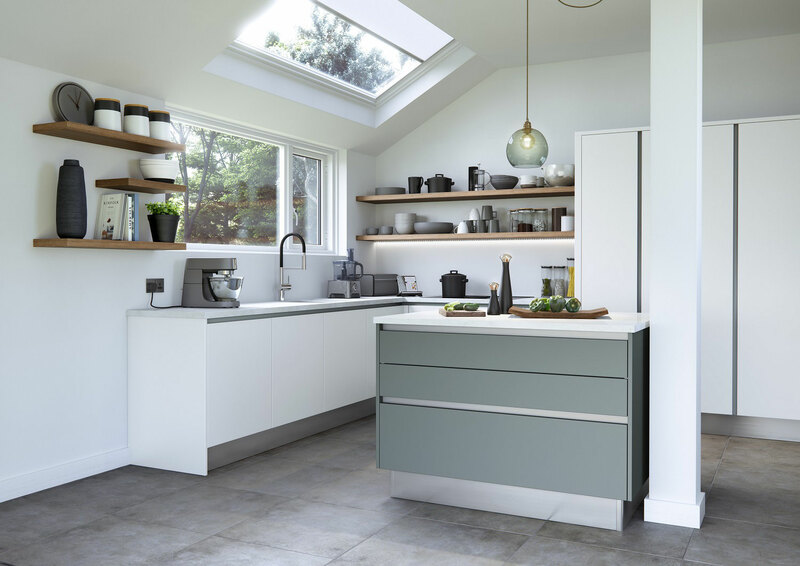 Taking inspiration from contemporary Italian design, some of our newest suppliers are coming up with innovative ways of introducing colour detail to accentuate parts of the kitchen. 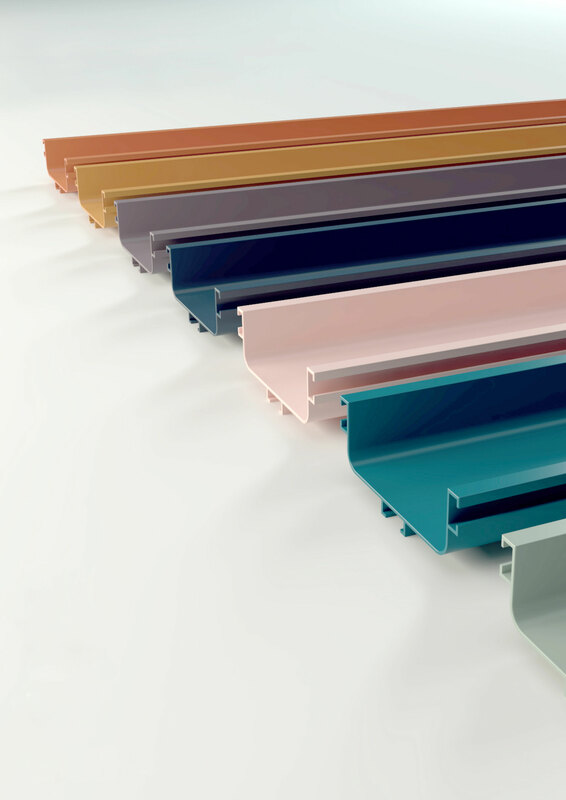 Above you can see just some of the extensive range of colour options available for the rails on your handleless kitchen. 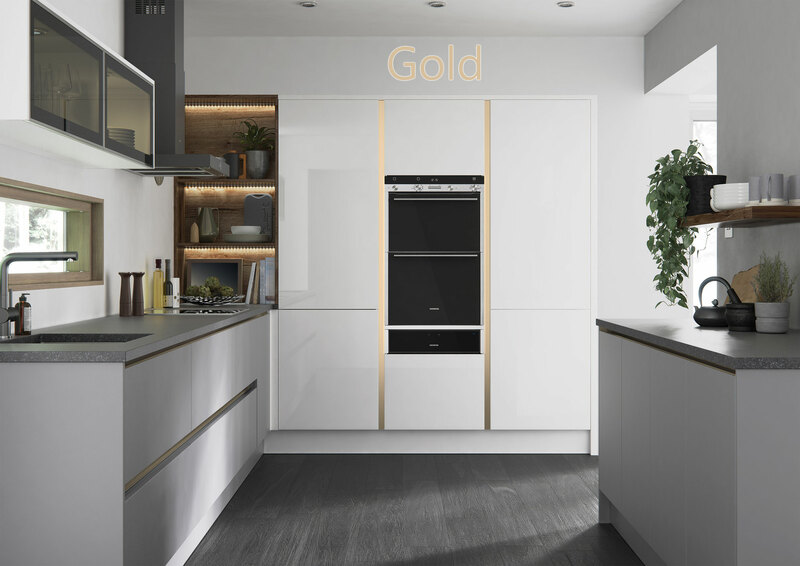 By replacing the rails with gold, blue, green or silver, you can highlight different elements..
co-ordination throughout the kitchen design. 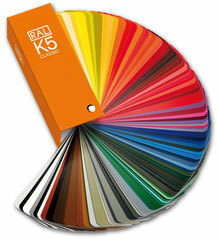 in a huge range of bespoke colours as well as RAL colours. 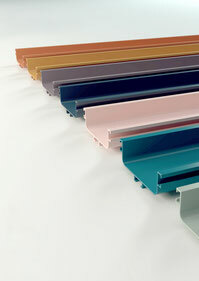 So if you have something you want to colour match in your design, come and speak to us about this innovative new range. 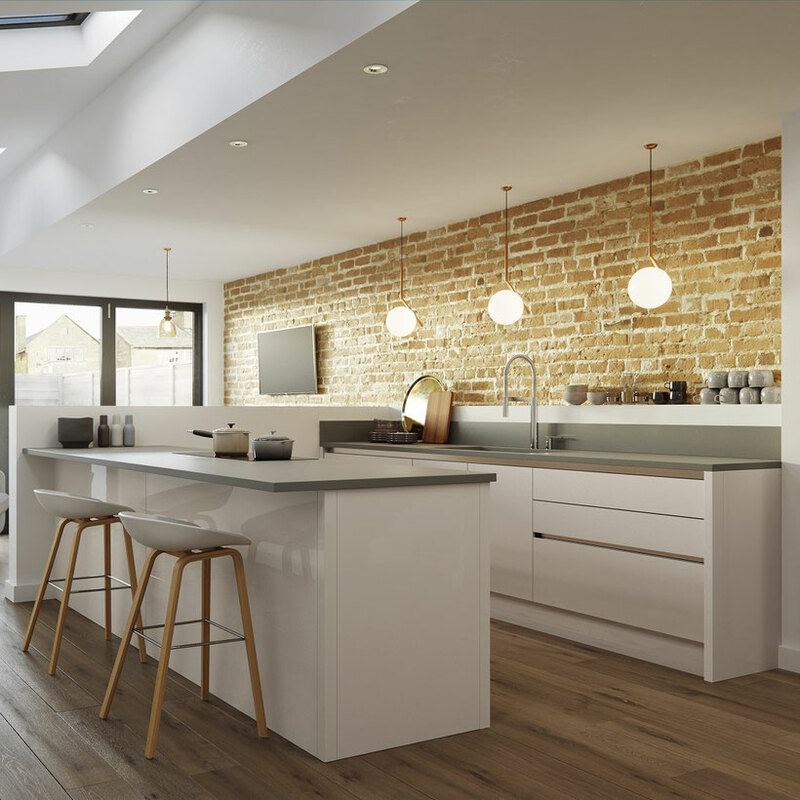 Example of minimal handle-less design, with Savanna Gloss doors and rails painted in Sandy Beige.